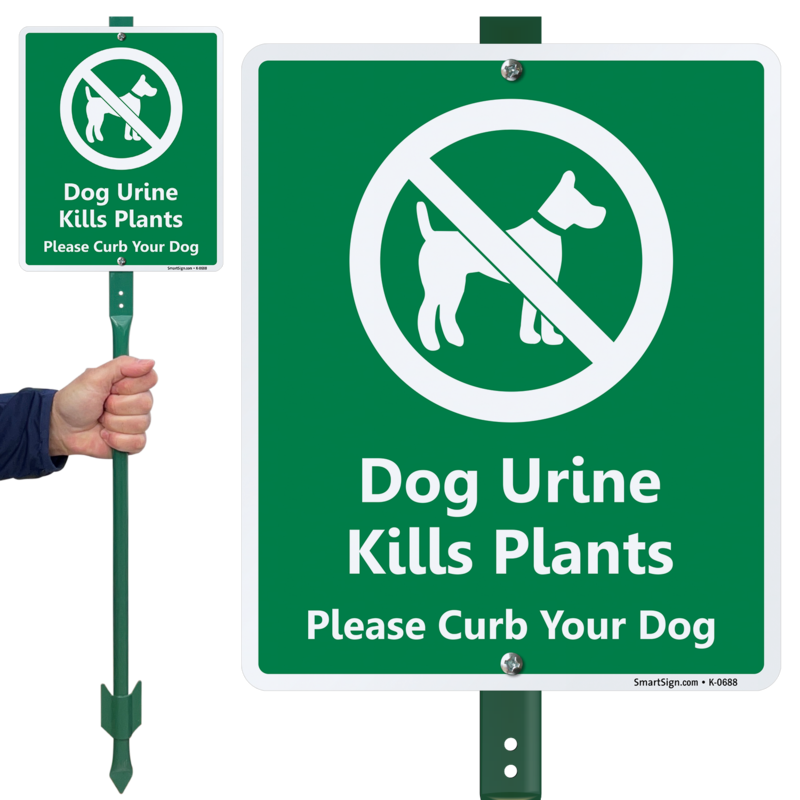 Take individuals' attention to not let their dogs urinate in your lawn as it kills plants. Send the message across using this Lawnboss Sign. Should be around for quite a while. Looks very nice and professionally made. Should be around for quite a while. 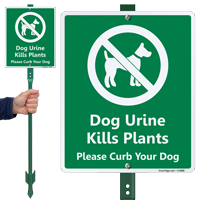 Who loves needing to put up signs to keep dogs out of the grass? The signs are of good quality and are easy to read. This is one of the most efficient shipping tracking systems I've come across. I will order again from this company when I need signs for other commercial sites. Well made, right size and gets the message across appropriately.